FEROCIOUS ROTAX V-TWIN ENGINES: The all-new 91-horsepower Rotax 1000R liquid-cooled V-Twin engine, with four valves per cylinder and single overhead camshafts, is remarkable for its—dare we say it—more refined thrills. 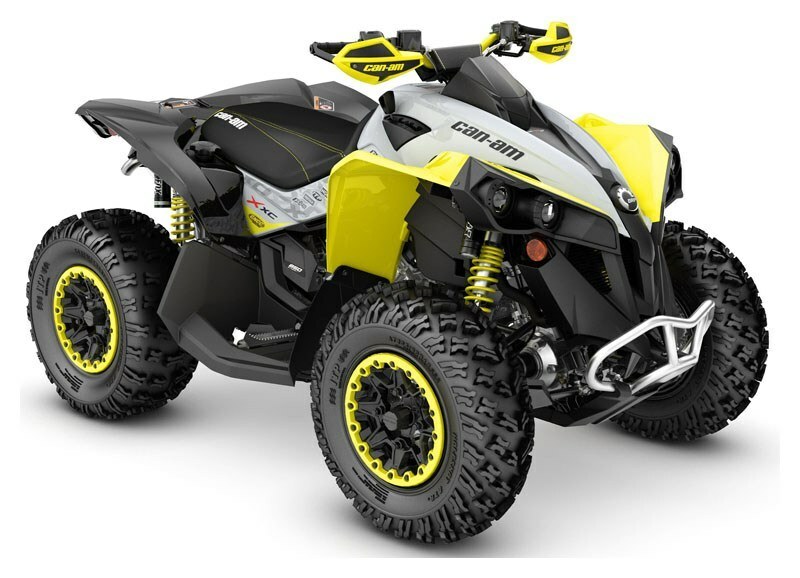 Also ready in 48-hp Rotax 570 and 78-hp Rotax 850 versions, these signature Can-Am engines deliver the goods for a true performance edge. FOX PODIUM 1.5 RC2 SHOCKS: These high-performance front and rear FOX PODIUM 1.5 RC2 shocks give the flexibility to fit all terrain and all riding styles, with easy-to-make dual-speed compression, rebound and preload adjustments for the conditions you're riding in. 25-IN ITP HOLESHOT ATR TIRES ON 12-IN CAST ALUMINUM BEADLOCK WHEELS: The best Renegade X xc yet needs rubber that can handle the power - and still return a ride you can't forget. ITP Holeshot ATR tires are installed on 12-in. (30.5 cm) cast-aluminum beadlock wheels, with a center-less design that reduces unsprung weight and offers improved strength. Durability was increased in strategic areas while excess material was eliminated in other spots to save weight. FULLY-REVISED FRONT AND REAR SUSPENSION: It's all about balance. Starting with front arched A-arms, sway bar, and revised wheels for a wider stance for the most significant Renegade upgrade yet. The independent rear suspension eliminates scrub and camber changes for unparalleled vertical wheel control—rather than in a flexive butterfly motion. 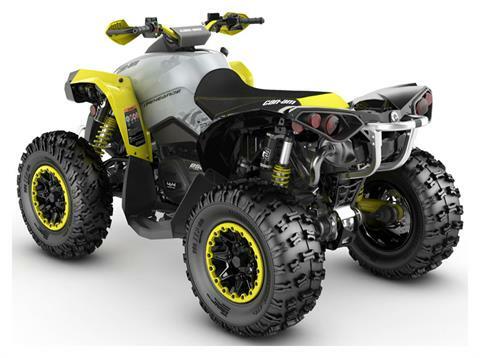 Renegade was made to go where you point it—with leading traction and power transfer. ALUMINUM TAPER-PROFILE HANDLEBARS WITH HAND GUARDS: You're suited up—and definitely want to ride behind revised wind deflectors and a square pad for the look and protection that comes ready for the territory. Why let brush, mud, and cold slow you down?